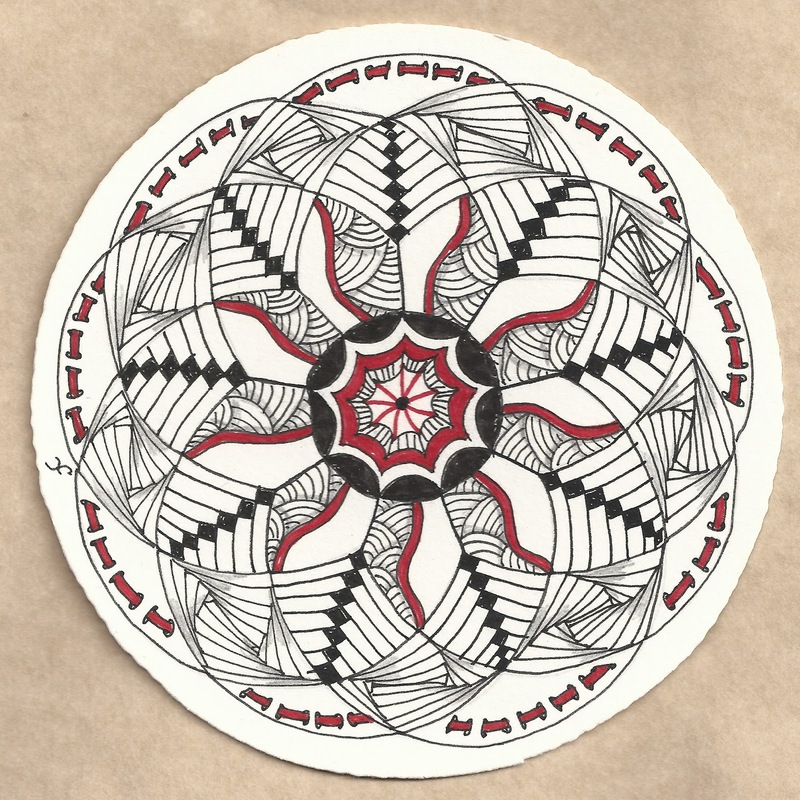 This week we are celebrating Earth Day (or Amanda Day as it is called in Mesa diva), so we are creating zentangles or ZIA that honor mother Earth. 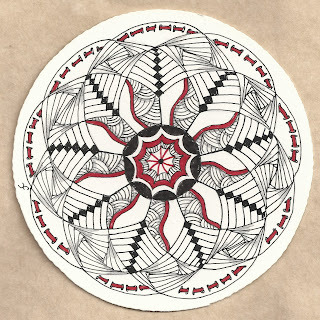 Thinking that a Zendala is a good way to feel connected with the earth and with each other I dove into my Zendala tin that came from zentangle and created this tile. Remembering the red-thread challenge as a few weeks back, I added a red thread to represent how we are all connected in this world, and what we do effects others. Thanks for a great challenge! 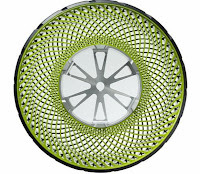 Also of note: Michelin has come out with a Mandala of their own in the form of a revolutionary tire. 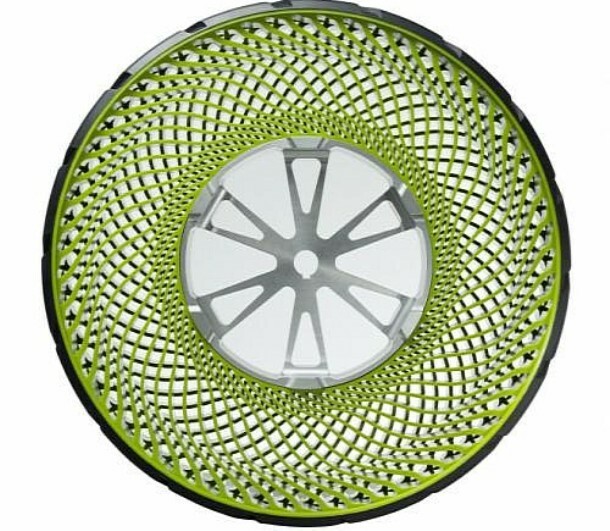 I know it's a tire (guy thing), but what a wonderful Mandala it is. Who knew that engineers could have such a great sense of style too! By the way this tire will never go flat. Beautiful! Love the red thread. 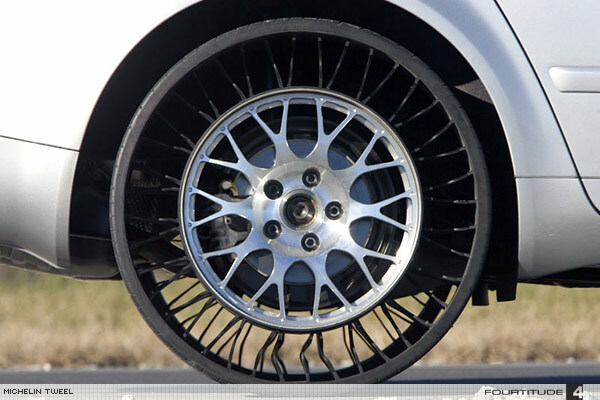 Also like the Michelin design. Beautiful Zendala! Love the red thread message too! Joni, the red, black, and white is so perfect for you zendala. The design repeated is wonderful! Yay mother earth! beautiful! i like the red thread tieing it all together - great idea!